A recent survey of Spanish online poker players indicates that Winamax will be warmly welcomed when it joins the pan-European joint liquidity market. The French operator has responded by publishing a web page promising events and promotions likely to result in a challenge to PokerStars´ current dominance. From time to time, the Spanish poker news site – poker10.com – publishes a survey and asks readers to chip in with their opinions. Typically these surveys are fairly bland and ask questions such as What would you do in this situation? and How many Spanish players will win bracelets at the WSOP? However, a couple of months ago following the launch of PokerStars´ French/Spanish joint liquidity market, the site published a far more interesting survey which effectively asked the question Okay guys. You have the shared liquidity market you wanted. What would you like to see next? A review of the Spanish tax system on poker winnings – 29.41%. The arrival of Winamax in Spain – 28.36%. A transition to the British regulatory model – 13.24%. The return of PokerStars´ previous VIP model – 11.76%. The entrance of Portuguese and Italian players – 7.15%. The arrival of 888 Poker, Party Poker and iPoker skins – 6.09%. Confirm that Portugal will continue to tax winnings at 0% – 2.10%. Bigger MTT Series on PokerStars – 1.89%. Some of the players´ wishes have already come true. Portuguese players joined the pan-European market last week, the personal tax rate for Portuguese players has remained at 0%, and PokerStars has just announced a €5 million guaranteed MTT series starting on June 3rd. But what about Winamax? 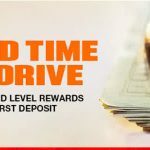 On the basis that Spanish authorities don´t follow online poker news, and that PokerStars is not going to scrap the Chests rewards program, the only other event likely to happen in the near future is the arrival of Winamax in Spain. The French operator has already got a pan-European license from the French regulator ARJEL and is just waiting for the green light from the Spanish regulator SRIJ. 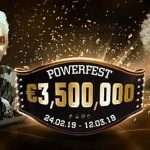 In the meantime, Winamax has published a web page promising €10,000 each week in free poker tournaments, three tournament series each year with prize pool guarantees of €10 million, “Sunday Surprises” and its own “Expresso” version of PokerStars´ Spin & Go games offering a maximum prize of €1 million (the same maximum prize as currently offered by PokerStars). Although the Spin & Go games will not be that much of an attraction to Spanish players (who in another survey gave them an 88% disapproval rating), the promise of a rewarding VIP Zone will be of interest. Winamax is promising a points-for-gifts exchange service offering everything from a pack of cards to a luxury car. The current VIP Zone in France also allows players to exchange points for cash bonuses. 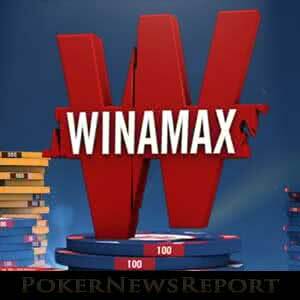 It is not known yet when Winamax will be launching in Spain or if – like PokerStars – the site will be accepting players from outside French/Spanish borders. It will be interesting to see if the French operator can challenge PokerStars´ dominance of the pan-European joint liquidity market, and we are certain 888 Poker, Party Poker and iPoker skins looking to get a slice of the action will also be interested. Spanish players can sign up for email alerts now on winamax.es, or follow @WinamaxEurope on Twitter for more information.